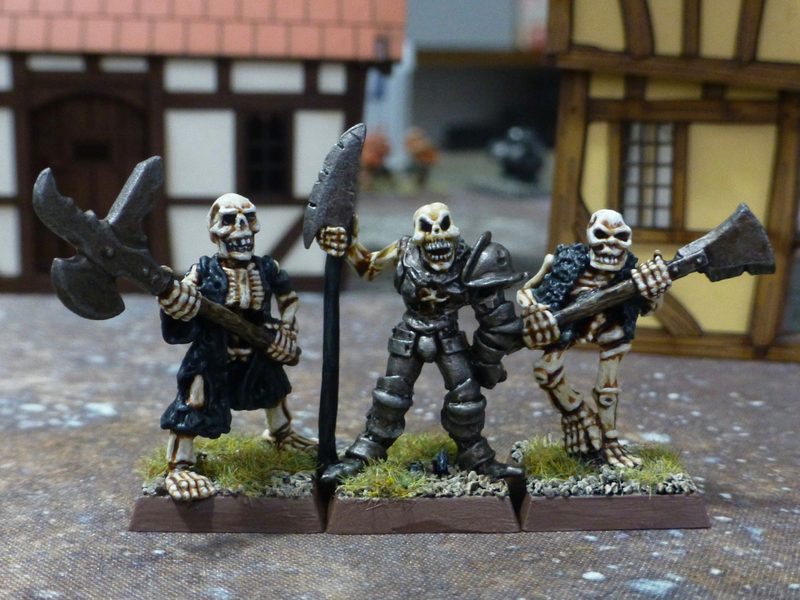 This entry was posted in Warhammer and tagged Marauder Miniatures, Oldhammer, Undead, Warhammer. Bookmark the permalink. Cheers, I am enjoying the variety in this army. Got a couple of interesting Grenadier sculpts to add to it as well. I like the fact that, considering they have no flesh, they all have different “faces” and “expressions”! While not going for anatomical accuracy, the sculptors did give them character and brought their unique styles to them as well. Nice work, and making their teeth whiter than the other bone gives them a suitably creepy effect! Thanks, I am glad you like that effect. 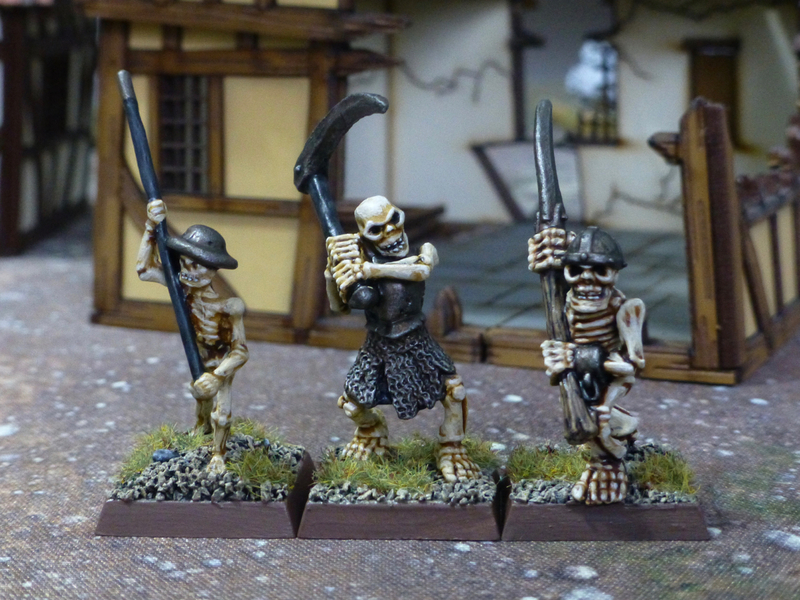 I felt those are needed as otherwise the plain bone would make the faces a bit flat. Also, the teeth are quite easy to pick out in these metal models.